He may wish to be remembered as a tough operationally inclined commander who stood up to the Chinese along the Line of Actual Control and brought hell down on Pakistanis on the Line of Control (LC). It is not a co-incidence that the Uri bulge is currently the hottest place on the LC. Rawat, served there when in the battalion, and later as a division commander on that portion of the front. However, it appears he also wishes to leave a legacy of a no-nonsense hard-talking chief. With a doctorate and a US Command and General Staff College course under his belt, followed with military leadership experience in an international environment, with the UN as commander of a brigade group in its mission in the Democratic Republic of Congo, it can be inferred that he feels somewhat circumscribed by the norms of discreet utterances that go with being a service chief. Instead, he wishes to step out of a stifling tradition of silent – even if tough – chiefs. The last time a Chief felt so constrained was some fifty years back, when Jayanto Nath Chaudhuri decided to let off steam writing for the Statesman anonymously. Snide remarks at Krishna Rao’s proximity to the Gandhi family refer to his complimentary statement on the Congress party as head of Eastern Command in the context of an election in one of the seven sister states. The tradition of keeping a low profile has been reinforced over the years. With an occasional aberration.Former Army Chief Sunith Francis Rodrigues frustration on Kashmir came through with his comment describing Pakistanis as ‘bandicoots’ and his take on political good health also being the military’s business. His concern was prompted by the repeated political mishandling of situations in those days that brought the Army from the barracks to the streets. Similarly, Ved Malik’s frank admission of the state of the army at the end of a decade of defence austerity on the eve of Kargil War, when he said that the Army will make do with what it has, drew frowns. VK Singh’s run in’s with the Defence Ministry are too many to recount; suffice it to refer to his moving forces then under a relative’s command – a wanna-be chief – for spooking South Block on the night before his ‘date of birth’ court case. The liberal manner in which Bipin Rawat has been giving voice to his opinions indicates that he feels better positioned than chiefs hitherto. He last commented on the education system in Jammu and Kashmir wanting surveillance of madrassas, besides asking why a map of the state needs to grace classroom walls when a map of India is quite enough. Rawat warned off stone throwers last year, but has had little impact on the youth but more on his own soldiers. An Army Major last year, taking his chief seriously, precipitated the ‘human shield’ episode last year. He was awarded by Rawat for his pains. This year another Major taking his chief at his word ended up with his name on a Kashmir police FIR, when his patrol shot dead two stone throwers. Unfazed, Bipin Rawat has waded into yet another controversy. To those monitoring the strategic discourse, his take on illegal immigration was of a piece with the widely and strongly held view that Bangladeshi immigrants upsetting the demographic balance in the north east are a national security threat. Bipin Rawat went further: he voiced what was said sotto voce so far in military circles, that political interests are enabling this in reference to the perceived benefit derived by the Congress from its ‘vote bank’ among the illegal immigrants. 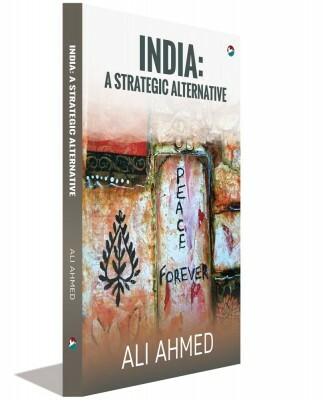 The serving army officer who wrote the article went on to write a book on it, published under CLAWS aegis (Changing Demographics in India's Northeast and Its Impact on Security, New Delhi: KW Publishers, 2016); no doubt with the same conclusion as his article: ‘While local political compulsions have led to a soft stance in the approach of the security forces in their operations against insurgent groups, a decisive and resolute action is the need of the hour to thwart any reprehensible designs on India’s security while taking steps to lower ethnic tensions as well as checking illegal migration into the state.’ It does not take much imagination to know which party is being referred to as profiting politically, for the Tarun Gogoi led Congress was in power for a decade and half. Bipin Rawat’s speech writer, probably a bright young Colonel from the perspective planning directorate, cannot be faulted for picking up the trope from a website he thought was credible and with official imprimatur. A Colonel could not have gone further. It takes a Bipin Rawat for that. He perhaps recalled some intelligence briefing from his time at the headquarters in Dimapur, when he commanded a corps in charge of India’s own far-east, including southern Assam. He was not updated that in the last elections the AIUDF count went down from 18 to 13 and its chief, Badruddin Ajmal, lost his Dhubri seat, besides failing to play kingmaker by weighing-in – as he perhaps intended - on the side of the Congress. Rawat as is now his wont went out on a limb on three counts. First is for which he has been roundly (and rightly) upbraided, needlessly putting a prime time spin on his observation. No doubt taking the name of a ‘Muslim’ party helped him elevate the issue as a national security threat. Now that the Congress is down and out, merely alluding to some unnamed political party making political capital would not help. 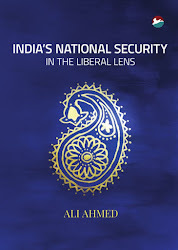 The supposed ‘Muslimness’ of the AIUDF was necessary to prop up the Chief’s second observation: that the illegal immigration is the face of silent and glacial proxy war. It is no wonder Ajmal went out of his way to point out that his party is based on ‘democratic and secular’ values. Third, it is not enough to have the ISI as bogeyman anymore. The CLAWS article’s analysis was too staid for the general. It had said: ‘A shift in demographic pattern has given an opportunity to fundamentalist groups to exploit the demographic fault lines in the state and the Northeast. SATP lists 14 Muslim insurgent groups, out of which Muslim Tigers Liberation of Assam (MULTA) has been active in the areas adjoining Bangladesh. 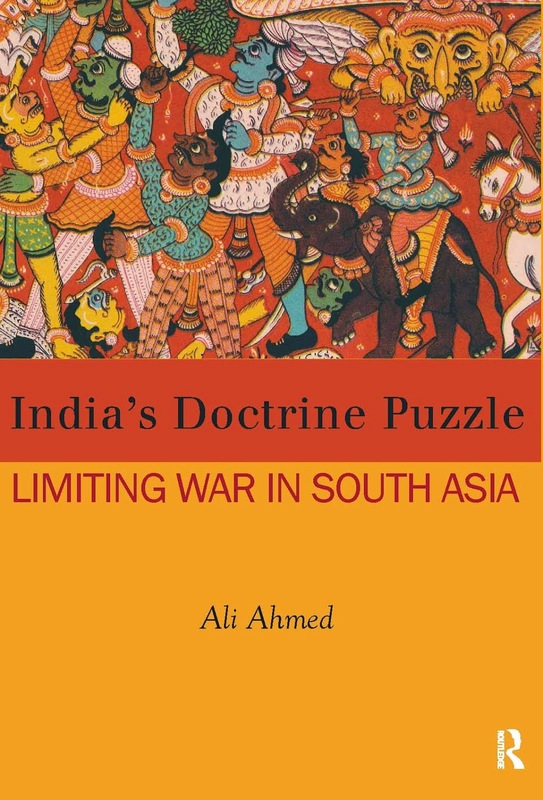 The linkages of these groups with ISI and other insurgent groups in the region pose a long term threat.’ This is both too staid for Rawat and it pitches India at Pakistan’s level. Nothing less than the ‘northern’ neighbor as threat was called for, and, look and behold, we have a speech that measures up to Rawat’s stature. Rawat’s apologists have it that he was under the impression that he was at a closed door seminar and speaking under Chatham House rules. Be that as it may, Rawat would be unfazed by the storm that he set off. Not only is he now used to it, but he is sanguine that by speaking the (ruling) party line he is on safe ground. No wonder a predecessor of his as chief, now in government, came to his defence, saying, the army chief can be allowed to speak as he wishes. It needs remembering that the front runner to the chief’s job that Rawat nabbed – Lt Gen Bakshi - made the mistake of underplaying a cross border raid in mid-2016 into Myanmar, depriving the Modi-Doval duo of yet another feather to go with others from their ‘surgical strikes’. To be fair to Rawat, it is not that he does not know which side the bread is buttered, but he perhaps believes what he says. And therein lies the rub.